We manage and lease several commercial buildings in Prince George’s County Maryland. We have found it’s especially important to follow up quickly with any late paying tenants and assess their financial situation. This is especially true in Prince George County where it often involves both filing in District Court for possession and then filing a separate complaint in Circuit Court for a money judgment. Some tenants jut fall behind in paying the water bills which have been overlooked. Other tenants are a few months behind in rent and their business is sinking fast. It’s critical to determine the difference between chronic late paying tenants that still have a healthy business and are cash flow positive and those tenants who have a failing business that is tanking fast and won’t recover. As property managers we communicate often with the tenant to assess their financial situation. Does the tenant just need a short term payment plan or are they falling hard and fast. Either way, determine what course of action to take with a tenant ASAP. Regardless of the outcome, documenting the process with written letters is simply just good business. 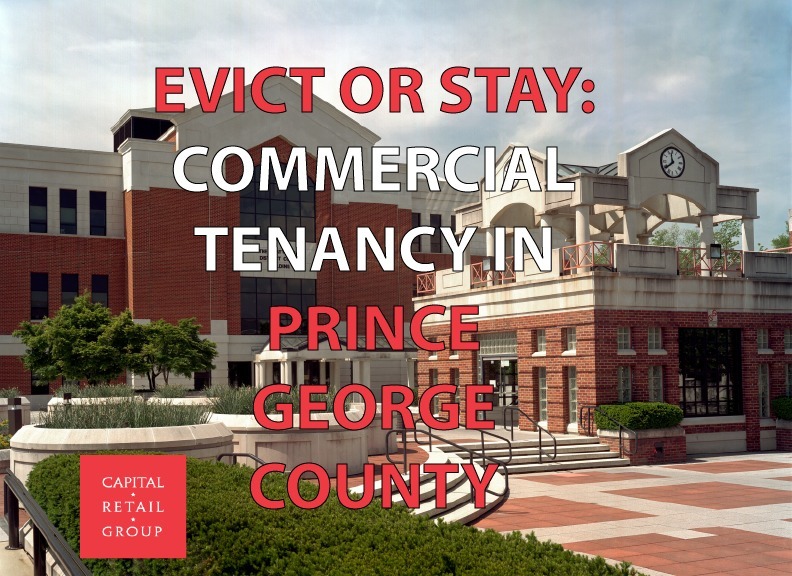 In Prince George’s County it’s often more time consuming than other counties in Maryland for commercial property owners to obtain money through the legal courts from tenants who have been evicted from the property. If a tenant does not pay rent it’s common to file suit and receive a judgment for possession with the past due noted as the redemption amount. But that’s usually where it ends. It’s far less common to also receive a “money judgment” at the same time. 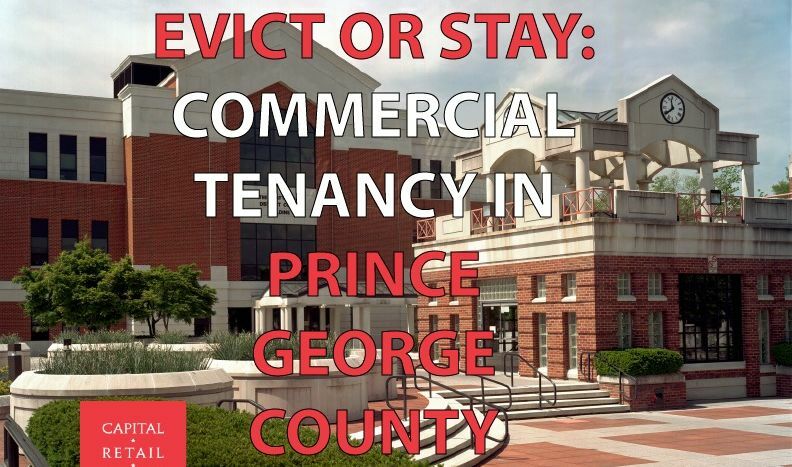 Indeed you can obtain a money judgment in landlord/tenant actions in Maryland but it’s typically a more involved legal process in Prince George County. Prince George’s County district court judges do not usually award money judgments in landlord/tenant cases and certainly not if personal service hasn’t been given to the tenant. To obtain a money judgment and collect, commercial landlords almost always have to file a separate civil action against the Tenant in the Circuit Court after having gone through District Court. In turn, more legal fees are being spent so it’s important to decide upfront if it’s likely the landlord will collect. I have leased a retail/commercial salon suite Drakes Place (DPSalon world) Mitchellville, MD for 2 years now. I gave the required 30 day notice to vacate at the end of the lease which falls in the middle of the week. On a Wednesday to be precise. The bookkeeper is charging me for the entire weeks final rent. Is that legal? My response to them is that the final rent should be pro-rated less the two days (Thursday and Friday) that I will not be occupying the space. The bookkeeper’s response was that they do not pro-rate…again, I ask is this legal to charge for time not occupied? The landlord can charge for unoccupied space which has no relationship to the notice period. Typically there is no pro ration for notice periods. For example, if you give your notice anytime during September whether it is the 1st or on the 30th, the full month of October rent would still be due even if you move out in September. Of course, you would not owe any rent for November onward.